Is Heartworm Prevention Necessary For Your Dog? Has your vet recommended monthly heartworm prevention meds? According to the package recommendations, heartworm prevention drugs like Tri-Hart, Sentinel, Trifexis and Heartgard are meant to be given every 30 days … … but with a bucket full of side effects, is monthly heartworm prevention necessary … or even a good idea? Before breaking open that blister pack, you might want to take a look at the risks of giving heartworm drugs to your dog and why he doesn’t need them! 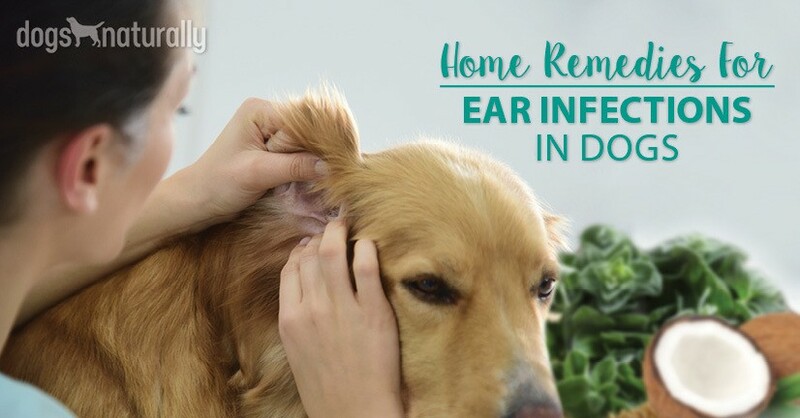 Step 1: A mosquito bites a dog that’s infected with heartworm. Step 2: That mosquito carries around those tiny microfilariae and they develop in its system. Step 3: That same mosquito bites your dog, transferring the larvae. These take up residence in your dog’s tissues. Step 4: Over the course of about 5 ½ months, these tiny larvae grow into adult heartworms and travel to the heart and pulmonary arteries. And, it takes at least 5 ½ months for larvae to grow into adult heartworms. 5 ½: Remember that number, I’ll get back to it later. Heartworm prevention drugs don’t actually prevent heartworm. They kill heartworm larvae that may already be in your dog’s body. So, if your dog hasn’t been infected, you’re giving him harmful drugs for something he doesn’t even have. Heartworm drugs are neurotoxic. That means they work by paralyzing the nervous system of the microfilariae in your dog’s body. That is so not good for your dog’s own nervous system! All the heartworm meds your vet’s going to recommend contain dangerous ingredients like Ivermectin and Praziquantel with many common side effects. Before giving your dog any kind of heartworm drugs, you can do DNA testing to see if there are any microfilariae in his system. This testing is different from the regular test your vet will do to find adult heartworms. It’s based on PCR (polymerase chain reaction) technology and it’s not only very accurate, it also tests for heartworm larvae (the regular test only tests for adult heartworms). This means you can find (and then treat) any larvae before they become a real problem! Heartworm DNA testing is available from HealthGene, a company that offers all kinds of DNA testing. Simply tell your vet to send your dog’s blood sample to HealthGene and the company will send back the results. Find them online here. If your dog tests positive, there are several natural, holistic options to treat the heartworm. If he tests negative, you’re good. [Related] 5 Natural Heartworm Treatment Alternatives. Find them here. How often do you need to test? Remember how I told you to keep that important number in mind? Here’s why it matters. Since it takes at least 5 ½ months for larvae to grow into adult heartworms, testing every 4 months will allow you to find those larvae before that happens and get rid of them. This means those adult heartworms, the ones that cause the problems, will never have a chance to fully develop. And testing every 4 months is only necessary in those areas where heartworms are a problem more than 8 months of the year. In those areas where the season lasts only 4 months, you really only need to test once a year, at the end of the season. [Related] Heartworm Facts: Prevalence, Medication And Alternative Treatment. Find out when heartworm season starts in your area. Minimize vaccines. Vaccines have the potential to cause major health problems. The aluminum in vaccines is a grade 3 (out of 4) carcinogen. Many vaccines also contain mercury, an extreme neurotoxin. These ingredients can cause acute and chronic health problems ranging from allergies to cancer to death. Knowing this, it should come as no surprise that they also seriously compromise your dog’s immune system. Your dog probably doesn’t even need them as the core vaccines he had as a puppy provide immunity that can last from 7 to 15 years! [Related] Are you vaccinating your dog too much? Get our free vaccine guide to find out. Feed a fresh, raw diet. Kibble is bad news, no matter how you look at it. The process to make kibble involves the use of 25% to 45% starch (that’s really hard for your dog to digest) and it strips even the most nutritious ingredients (which are few!) of their nutritional value. What’s worse, kibble contains harmful aflatoxins and mycotoxins … chemicals and toxins that really hurt your dog! This includes compromising his immune system and his body’s ability to fight against disease. Limit his exposure to toxic chemicals (pesticides, fertilizers, household cleaners). These, like vaccines and kibble, can decrease the effectiveness of his immune system. They can also cause serious health problems, such as birth defects, nerve damage and cancer. Make sure, if you’re using some kind of lawn care, that it’s safe for your dog. Same thing with cleaners. Even when cleaners claim to be “green” they often aren’t, so make your own with natural ingredients. Spray your dog all over, taking care not to spray his eyes. [Related] Read about more natural mosquito repellents. Check them out here. Heartworm disease is scary, but that doesn’t mean you should be rushing to the vet for monthly heartworm meds. Help him build a strong immune system and keep him heartworm free. Canine Flu Vaccine: Does It Work?